Perplexity: To decrease perplexity you can help yourself by a brainstorming / a mindmap. This will help you get your own point of view clearer or identify the milestones. What are important, open-ended questions? Motivation problems: Read something that motivates you, e.g. the autobiography of someone you adore. That gives you the power to finally launch into you task! Nervousness: Try a little accomodation and meditation practice: sit down at your desk, close your eyes and think intensely about your task. When your thoughts come crawling over, imagine these thoughts are clouds that get blown away by the wind. It also could be water vapour that disappears promptly. What helps best against listlessness and absent motivation? Just start! Start with easy things and after a while you will see: Wow, where did the hours go? It will often happen to you that you now gather momentum when you just began to work at a task. When you’re just waiting for the brilliant creative idea, you can wait until the cows come home. The brain needs a certain degree of stimulation to start working. Humans are creatures of habit: everything works when you succeed to get used to regular working. You just have to survive the first 3 days! Physical and mental ability has its ups and downs over the day. During high energy phases also initiative and emotional stability are higher – you’re less prone to stress. 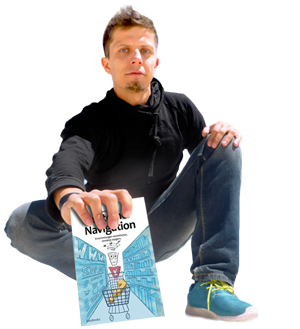 Enough reasons to put the high priority tasks into the high phases instead of wasting them on smalltalk or facebook. Observe yourself and identify your primetimes of concentration. For the most of us these are in the mornings and early afternoon („early bird“ or „morning person“). It’s way more efficient to work intensively in these hours rather to work a tiny bit distributed over the day. Use coffe dosed, two cups are enough: one for a starting impuse in the morning and another after the afternoon slump. Why? Coffee operates up to 6 hours in your body – the second cup after an hour won’t achieve the same results as the first one. Additionally it harms your circadian rhythm, when you use RedBull or caffeine to negate the down phases that are so important for your recreation. Try energetizing fruits and teas rather than caffeine: green tea, mate tea, ginger and also fresh culinary herbs and ingredients of your plates operate very energizing! Learning works the better the more senses are involved. The activation of several senses is also conducive for your concentration: Keep in mind monks, who meditate using chants and algum candles. This addresses eyes, ears and nose likewise. No surprise that so many people like to listen to music while working: it makes a good mood, motivates lets you work longer. Arrange a nice ambiance, too! I prefer classic music (top: „Four Seasons“ by Vivaldi) and chill out music („café del mar“, „Buddha bar“). That’s not just stylish but also can pull you into the working flash! The alpha and omega at thinking intensive tasks: calm! Any small disturbance can you lose your line of thoughts. Hence: turn off your cell phone (or put it on mute) and switch off the wireless lan! When studying, hide in the very back position of the library, where you certainly know no one. Hang up a sign „sleeping – don’t disturb“ at your room (it probably won’t work when you write „learning – calm down“…). Any activity gets boring in the long run. But you can keep your work enthusiasm alive when you alternate your activities oftener: read a text, summarize a part of it, then change to another reading activity and then call back some clients or colleagues. Then start it over again. For the heavy thinking tasks it’s recommendable to do this before 1pm, then make a break and continue from 3-9 pm. So it never gets boring. It also will do you good to alternate posture (sitting-lying-standing-moving) or change your working environment (Café, homeoffice, crowd office…) if possible. Who always works or learns is inefficient! Not only your brain needs offtimes, also the body wants to be moved and stretched. One concentration period reaches from ca. 30-60 minutes. When you alternate activities you can also reach periods up to 90 or 120 minutes. But then it’s time for a food / moving and/or chilling break. When you stick to these recommendations it will boost your concentration, because you won’t be ripped out of your current topic by your physical needs when you’re totally immersed in it. 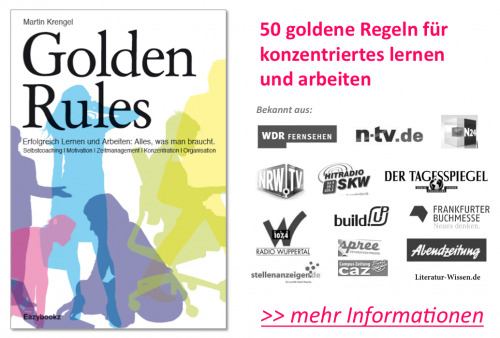 >> Die Golden Rules: Alles, was du brauchst. You should be always caring for good working conditions in the long run. Is your desk big enough? Do you often have to go to the copy shop for scans and copies? (Think about an own all-in-one printer instead.) Do you often wait for the bus? Get a bike or a scooter. Are there many objects lying around on your desk? How about a working file system, e.g. letter deposition or suspension files? All these little things help you to decrease distraction and keep your mental focus on the topic. Also be clear about your „strategy“ – i.e. aims and priorities. Deficitary concentration can be the origin of a lack of focus or cognition of the things you actually want to concentrate on. So simplify your processes, define your aims and organize yourself accordingly! Provide all working material, drinks & Co. for one session. That means less interruptions! I swear by chewing gum. Somehow this helps to keep myself on the chair. Try it – for me it works miraculously. Try to scream all the frustration and anger out of your soul by turning on your CD Player and abuse yourself and the world. You’ll feel the effects instantly! 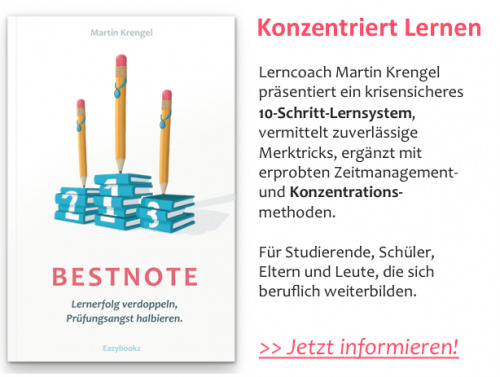 >> Perfekte Motivation & Konzentration. Mehr Tipps hier. Eliminate concentration killers to concentrate easier. Try to get into the flow to concentrate better. Align to your circadian rhythm. Use your high phases for the most thinking intensive tasks. Address several senses to bail your whole potencial. Avoid distractions and time thiefs to concentrate longer. Alternate different types of tasks. Make breaks to recreate your concentration. Tidy up your working space. Reflect on what you can do to gain long-term concentration. 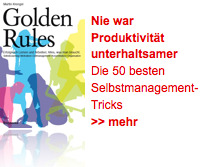 You can find many other tips to optimize your concentration in the Golden Rules module „concentration“.